Two very important dates for your diary! 16th June 3.00 – 4.00 “A Conversation with Avis Glaze” at Glasgow University. This will be part of the Character Scotland Conference www.character.scot/conference and spaces are very limited. “The Challenges of Equity: What is the role of educational leaders in contributing to strategic, political and cultural change?”. Speakers will include Sue Palmer, author of Toxic Childhood, Derek Brown, Head of Education at Fife Council and Danny Murphy, author of Schooling Scotland. SELMAS annual conference 2014: social justice – an impossible ideal? A participant’s perspective…….Danny Murphy shares his thoughts. The SELMAS Conference this year lived up to its usual high standard, addressing the issue of how schools and school leaders should respond to the issue which is at the centre of Scotlands future: social justice. There were three excellent speakers. Lesley Riddoch led us off with a mixture of statistics, information and passion – she drew on her work with colleagues in Scandinavia to develop a vision of where we should be going but she also showed a nuanced understanding of the complex interplay of culture, expectations and school systems – change of this kind is a long term project, not a quick fix, but we need to make a start. Alan Williamson, Headteacher at Lasswade High, reminded us that Scottish schools are already doing quite a lot. The new policy environment of Curriculum for Excellence, GIRFEC and the management information tool ‘Insight’ creates a space in which secondary schools are more empowered than before to to bring all children into a meaningful educational experience leading to a positive destination. Sheila Laing, drawing on her work in West Pilton and Prestonpans, revisited Maslow – until children’s basic needs are met, we cannot expect to develop the four capacities of the new curriculum. Key values are ‘respect, nurture, learn.’ It is important for school leaders to be aware who has power and who is powerless in a school community and to share power across the school community. Although as school leaders we cannot do much at a the ‘macro’ level of Scottish policy, we can make a difference by what we do at the ‘meso’ level of the school and what we do makes a difference at the ‘micro’ level of the individual – that’s where we’ve got to start. In among Sheila’s many stories, we’ll all remember Billy – this year he is getting a poppy. In between the presentations, we discussed the issues raised in smaller groups, sharing perspectives and experiences. One of the great advantages of the SELMAS event is that it brings people from all sectors and all parts of Scotland and there is always some useful discussion and sharing in those informal moments, over coffee and lunch. Each group had to prepare not two stars and a wish, but three wishes for a socially just Scotland and three wishes for socially just schools. These are being collated by the Selmas committee. We won’t have come up with all the answers, but those present will all go back to their various school communities with plenty of good ideas and a renewed sense that we are all part of a common project to make Scotland a better fairer place. 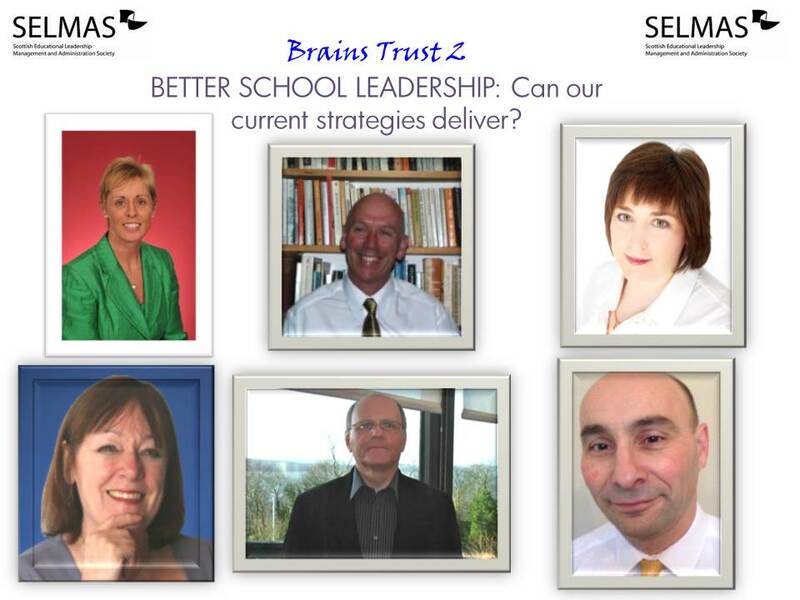 #brainstrust2 tomorrow – will our current leadership strategies deliver? The waiting is nearly over for our next “brainstrust” quick and dirty pop-up event in Glasgow College. In keeping with the SELMAS philosophy of providing a platform for mature and open conversations about education and leadership, the brainstrust events focus on a theme, document, or idea which is current or emerging and affords a safe environment for the conversations about it to take place. Because SELMAS is an independent organisation run by volunteers we can respond quickly to events, as long as we have the capacity to do so. This second brainstrust event has been made possible by the generosity of our friends in Glasgow College, who have kindly opened up their premises to us. Please take the time to check out a forthcoming event they are organising of their own – the One City event. They’re still looking for some facilitators for the CPD sessions running as part of this event so get in touch with Martin Taylor, Organisational Development Manager if you’d like to be involved. 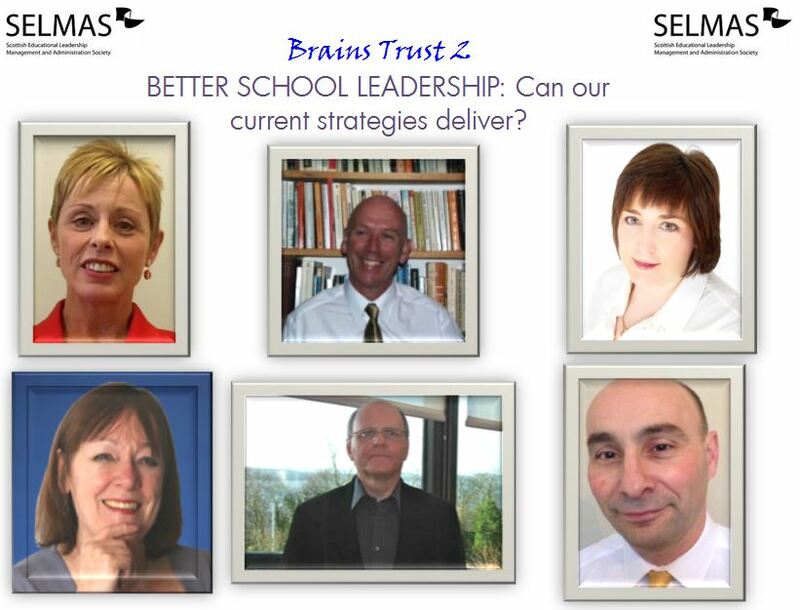 #Brainstrust2…… Improving School Leadership: Can our current strategies deliver? Improving School Leadership: Can our current strategies deliver? June 3rd 5.00 – 6.30pm. Plans for the Scottish College for Educational Leadership are now advancing and a new CEO will be appointed soon. Join us for an open discussion on all aspects of educational leadership and on whether SCEL and other current leadership development strategies will deliver their stated objectives. Sue has a passionate interest in building leadership capacity and ensuring high quality CPD for staff. 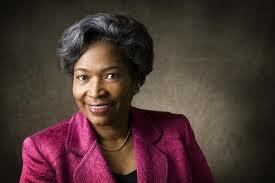 She has been actively involved in projects with Tapestry, SELMAS and SCSSA with a focus on all aspects of leadership. This will be a free event but, to ensure that we can match numbers, accomodation and catering, please let Alex Wood know if you intend attending by emailing him the completed booking form below. SELMAS looks forward to a great discussion and welcoming our many west of Scotland members to our first recent event in Glasgow. We are grateful to Glasgow College for hosting this event. SELMAS gratefully acknowledges a grant from the Scottish Government in support of leadership development work in Scottish education.